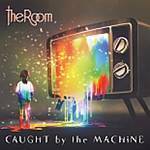 More information: The Room explain that both the title and song content of ‘Caught By The Machine’ directly relates to the feeling one experiences when the state, a job, a relationship or even a drug begins to control their every living moment. It is a reflection on many aspects of the modern world, for better or worse. During the recording process of ‘Caught By The Machine’, The Room worked closely with label co-owner and producer John Mitchell at Outhouse Studios, with Mitchell even singing backing vocals on a number of the album’s tracks. Kim Seviour provides guest vocals on the 8-minute theatrical epic 'Drowning In Sound'. The Room was formed in 2010 by Andy Rowe along with Martin Wilson and Steve Anderson from neo-prog rock band Grey Lady Down, The Room never fail to deliver an outstanding performance - both in the studio and in a live environment. Nothing could stop the success of their 2012 debut album ‘Open Fire’ and 2015 follow-up ‘Beyond The Gates’. These two studio releases saw the Southeastern sextet embark on a series of highly successful performances with the likes of Inglorious, Lifesigns and Soft Machine. Recent history has seen the band tucked away in the studio, writing and recording their upcoming third studio album ‘Caught By The Machine’. Even in spite of this, The Room have still managed to rack up a nomination for Best New Band at the 2016 Classic Rock Society awards, as well as partaking in a busy festival season, some headline shows, and even the release of a live performance at Wolverhampton’s The Robin 2 on DVD in 2017.